Aspire VX10 DCT (1.6ohm) Dual Coil - New Released 2014 !! Exclusive !! 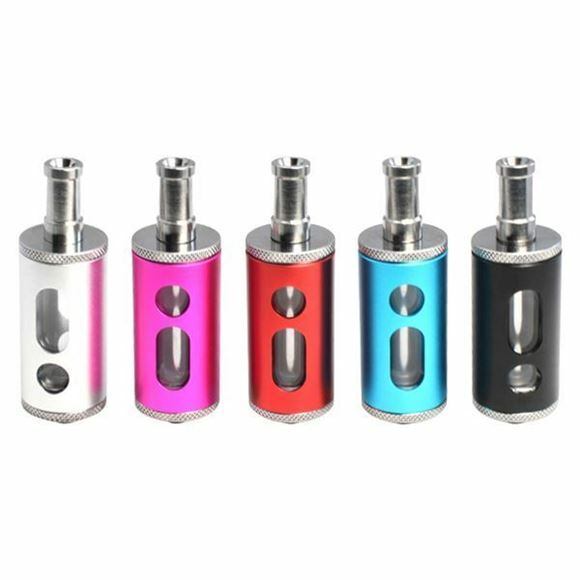 Multiply the fun Aspire VX10 as you Vape your favorite E-liquid with this new atomizer especially built to match your EGO’s, CE’s and selected new MOD batteries! It is designed to meet your high standards on both fashion and product quality. VX10 Atomizer is beautifully structured to be a powerful tool for solid Vaping reinforcement! Fill the E-Cartomizer with an E-liquid of your choice using a needle bottle or a syringe. Get VX10 atomizer and use the stock one to test the airflow first because it may come out a burnt taste if you vape it immediately. Please smoke in two minus once VX10 atomizer is refilled with 80% e-liquid and is connected the battery .